The Catholic religious congregations who ran residential institutions where children were abused have paid just 13% of the costs of a redress scheme set up to help survivors, according to a report by the Comptroller and Auditor General published by the Department of Education. The report states that by the end of 2015 the total costs of the commission which inquired into the child abuse, and the Redress Scheme, were an estimated €1.5bn. Minister for Education Richard Bruton has expressed disappointment with the contribution from the religious orders and said progress has actually gone into reverse. To date the 18 religious congregations have offered the equivalent of about 23% of the overall cost. However, just 13% of the overall cost has actually been handed over. The State gave the religious congregations an indemnity in 2002, limiting their contribution to €128m. After the Ryan report was published the religious congregations agreed to pay more, offering cash and property valued at €353m. 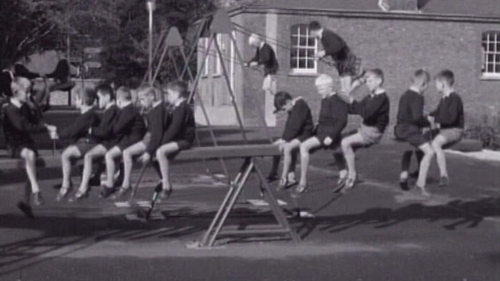 Much of the property consisted of playing fields attached to schools. This offer was reduced to €226m in September of 2015. However, the C&AG finds that only €85m of that €226m has been received by the State. The report also criticises the level of legal fees paid and says lessons need to be learned about the introduction of similar compensation schemes in the future. In response this evening, the Christian Brothers said it is "on course to honour in full the voluntary pledges" made in 2009 to redress for survivors of child abuse and to their education and welfare. Brother Edmund Garvey, the congregation's Irish Provincial, said the C&AG Report published today predates what he called "significant payments" by the Congregation. "Of the €34m cash pledge, €24m has been honoured with the final €10m being paid on a phased basis in 2017 linked to property sales. "Plans are also at an advanced stage for the transfer of playing fields worth well over €100m to the ERST (Edmund Rice Schools Trust), for the benefit of its 37,000 students and ultimately the State of which they are part," he said. "It had been hoped to make this transfer to a joint Trust between the State and ERST, but this proposal was not accepted." He continued: "These measures, together with prior transfers by the Christian Brothers, will bring total contributions to redress, welfare and education to over €600m." In a statement, the Sisters of Mercy said that it has honoured all of its commitments in relation to the redress scheme. It said that following the publication of the Ryan Report in 2009, it committed to making a payment valued at €127,506,800. It said that the payments composed contributions to "Cara Nua, the independent trust for former residents: the sum of €20,000,000 cash plus properties then worth €11,590,000. "To the State: properties then worth €80,856,800. To the voluntary sector: properties then worth €15,060,000." It said that due to the financial downturn, the State did receive reduced financial gains through the property transfers. The Sisters of Mercy said that it "always made clear that the value of its contribution was subject to the fluctuations in value attaching to individual properties." A spokesperson for the Dominican Order has meanwhile said that it paid what the State asked of it towards the cost of the redress scheme and that it paid it on time. The Daughters of Charity of Saint Vincent de Paul say they have honoured virtually all of the commitments they made to the State in regard to redress. In a statement, the Irish Province of the congregation says it is finalising the sale of property and when that is complete it will transfer the proceeds to the State so as to honour its entire commitment. A spokesman for the Saint John of God Order said that it "made a commitment to the Redress Board and has since fully discharged its obligation." The De La Salle Brothers have also said the figures show that the congregation has contributed what it had offered the State in respect of the cost of the scheme. In a statement, the Oblates of Mary Immaculate said that it honoured in full its "commitments to make a voluntary cash contribution towards Redress". It managed St Conleth's Reformatory in Daingean, Co Offaly until 1971. Following the publication of the Ryan Report, it committed to making a payment of €20m which was paid on a phased basis. It said that the final amounts were paid in 2013.